Carmel-tini Hair Treatment. If you are dealing with knots and tangles you want to do a pre poo treatment, with a good quality product of your choice. Apply carmel-tini over hair/scalp, cover with a plastic cap overnight. When you need to save time, apply the Carmel-tini hair treatment, cover with a plastic cap and let it sit on hair for 3 hours. Proceed with shampoo routine. 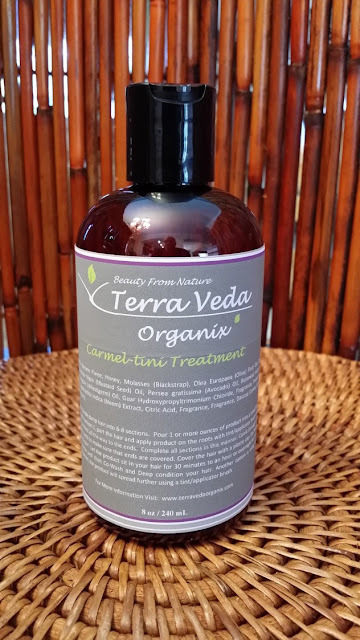 More information on the Carmel-tini Hair treatment, by Terra Veda Organix here. Shampoo and deep condition your hair. Rinse deep conditioner out with cool water. With hair soaking wet, pour an ACV rinse over your hair. Let it sit for 3 minutes. Apply leave in conditioner and oils. Proceed with setting your hair. At bedtime cover hair with plastic conditioning cap, followed by a knit hat or scarf. Remove first thing in the morning, to allow hair to dry. This means you may want to get up 20 minutes earlier to allot for drying time. Hair should be completely dry before styling, if you are wearing twist outs or braids outs. I can help you grow your hair! You will baggy your hair each night for the next two nights in a row. Applying a leave in conditioner and oil before each baggy treatment. TIP: store your leave in conditioner in the refrigerator and apply it to your hair cold. The cold product will help the cuticle to lay flatter and lock in more moisture. On day 4 you should notice your hair staying hydrated longer. 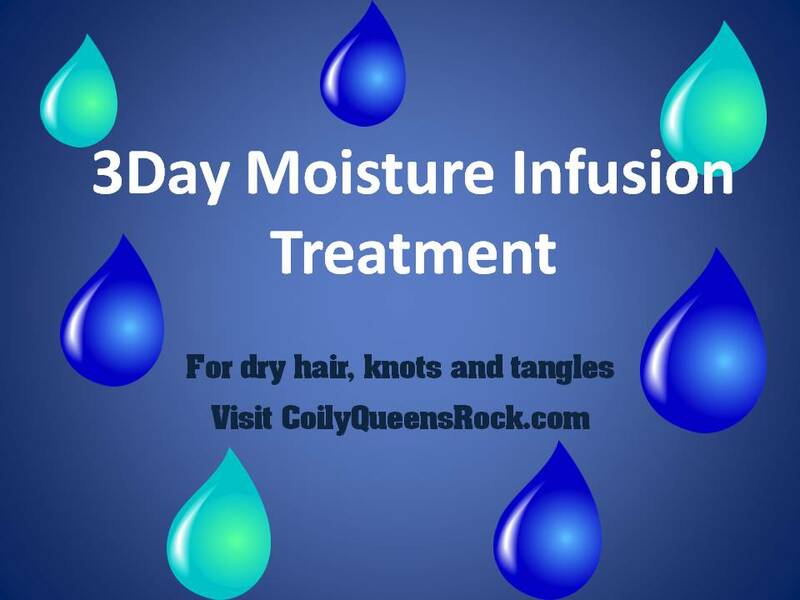 If you find that your hair is still getting dry and hard before the end of the day, then proceed to the 9 day moisture therapy treatment. Please keep in mind, that your hair has been dehydrated for a long time, so for some people it will take several days or weeks to get the hair to hold moisture. any alternatives to the tihini product? No alternatives, this is the product this was tested with. You can skip the pre treatment if you are not having a lot of issues with tangles and knots. Yes, I was going to ask the same thing. I guess I will carry on. I love moisture regimens. Will do today.